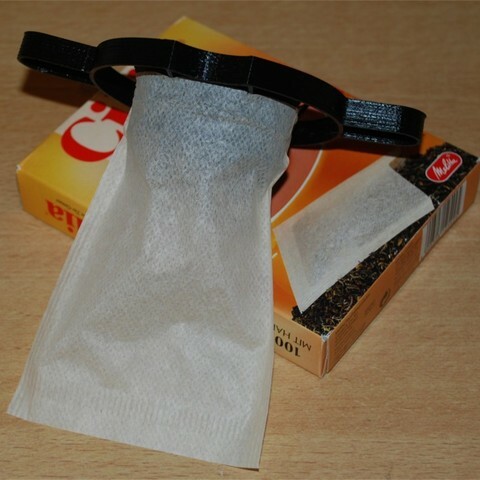 A holder for tea bags. It fits and works ... theoretically ... in a dry state ... but ... PLA (or PLA+) and boiling water are not the best combination. 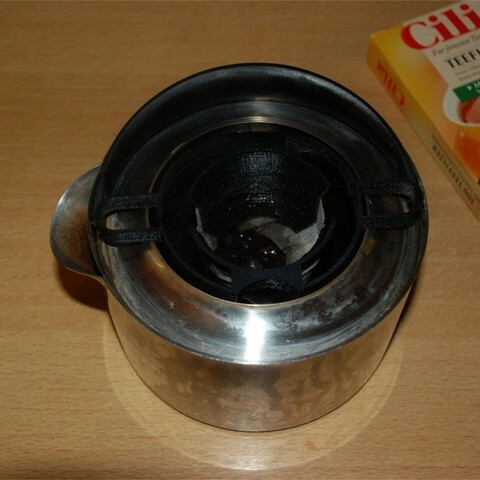 If the holder is printed with Green-TEC Pro filament, its shape remains stable - even if it is left in boiling water for five minutes.